Now that’s dialogue that will echo throughout eternity. Thirty years ago today a film was unleashed on a populace that merely shrugged at its existence. Too weird to thrive at the time, Night Of The Creeps has gone on to become something of a cult classic with its weird blending of ’50s creature feature, ’60s zombie film, and ’80s culture. Written and directed by Fred Dekker (of The Monster Squad fame), the film stars Tom Atkins as grizzled detective Ray Cameron, Jason Lively as scrappy college dork Chris Romero, and Jill Whitlow as imperiled coed turned shotgun-wielding Cynthia Cronenberg. Night Of The Creeps has grown its following since the video and syndication days, inspiring many other filmmakers and artists. The film has tons of great moments and iconic interactions, including the one above, but one element that was in dispute was the ending. The studio wanted a jump scare for the final shot, and so the theatrical version featured an unconvincing dog puppet vomiting up one last slug toward the protagonists before the credits rolled. The original version (below), which is the one Dekker approves of and which appears on the Blu-ray release, suggests a darker fate while still possessing some of the film’s cornball charm. For those seeking an overview of the plot and different elements of the filmmaking experience, YouTube user GoodBadFlicks (a.k.a. Cecil Trachenburg) has a great video that covers the basics of the film. The video also features behind-the-scenes elements and some trivia associated and is a great appreciation of the cult classic. Eric Vespe (a.k.a. Quint of Ain’t It Cool News) runs a daily behind-the-scenes picture, and he featured Night Of The Creeps in one of his posts. The image shows an actor getting made up to appear as an alien in the opening section of the film, which introduces the Creeps as an extraterrestrial science experiment gone awry. Dwarfsploitation, exploding heads, alien science experiments, and Tom Atkins chain-smoking… this movie has something for everyone! Lastly, the film has inspired many people throughout its 30 years, those who were lucky enough to discover and watch it. Apparently some of those people started a grindcore/death metal band called Splatterhouse, which wrote a song entitled “Night Of The Creeps” about the film. 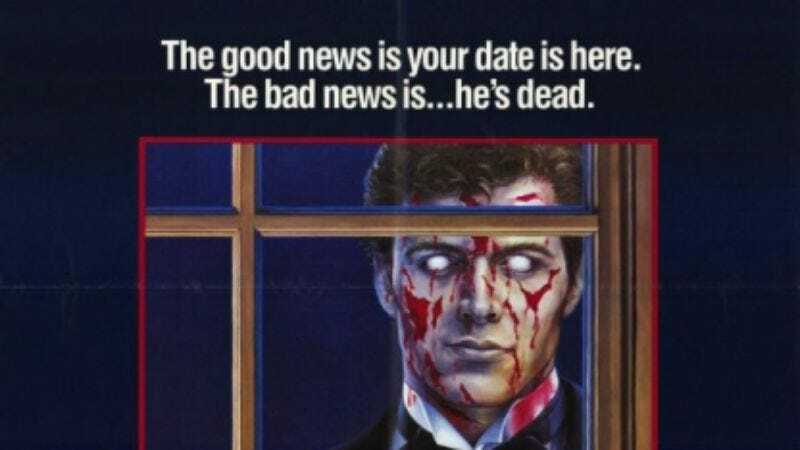 Here a fan (Chris Nichols) has put the song to footage from Night Of The Creeps, and the result is a nice blend of subject matter and inspiration. Night Of The Creeps did not make a big wave when it first came out. It was a year before Dekker would really establish himself with a hit with The Monster Squad. And then the filmmaker would find himself seemingly in directors’ jail for helming Robocop 3 (even though that film has issues stemming far beyond Dekker’s role). Despite its ignominious beginning, and the unfortunate state of Dekker’s career (for which he deserves much better), the film has managed to find its audience over the years. It remains a fun, funny, gross, exciting film that blends together multiple inspirations and in-jokes to create something wholly new. For those who haven’t seen Night Of The Creeps, seek it out; for those who have, keep spreading the word about how great it is.